He specializes in helping people with depression, anxiety, decision-making, emotional issues, low self-esteem, stress, procrastination, creating a more meaningful life and relationships. 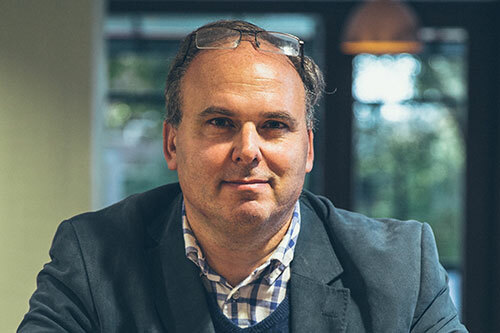 Tim’s background — studying philosophy at Oxford and London universities — followed by training in psychology, psychotherapy, CBT and coaching, means that he brings a wide range of practical skills and experience to meet the needs of his clients. He is trained in evidenced-based CBT approaches and provides supervision as well as therapy in CBT. He was awarded a Distinction for the Postgraduate Diploma in Cognitive Therapy by the University of Oxford. Tim’s latest book is Achieve Your Potential with Positive Psychology. Everybody wants to be happier and fulfil their potential, and for years many self-help books have claimed they know the answer. However, ony in the last two decades has Positive Psychology started to provide evidence-based ideas that have been scientifically shown to work. In the book Tim shows his readers how they can use the tools coming from Positive Psychology to achieve their goals. They will discover how ideas from CBT, mindfulness and practical philosophy can produce a more balanced, wiser version of Positive Psychology. Imagine Donald Trump becomes President. For those who disagree with his policies, what would be a good Stoic response? As a Brit who has just witnessed the varying strong emotions following after Brexit, Tim feels that Stoicism has a lot to offer to help us cope with events we dont like. This workshop will present five Stoic strategies for dealing with adversities and then apply them to the result of the US Presidential election. In the interests of political balance, Tim will also explore how those who support Trump could best cope with Clinton becoming President.